At Crown Oil, we love to show some support where we can and we’re incredibly lucky to sponsor some very hardworking local teams and individuals. This weekend is bank holiday so we’d like to wish you all a fantastic (long) weekend but, if you’re looking to get out and do something different this weekend rather than ordering fuels and what not, why not join us in showing some support for these amazing folk! Rochdale AFC – Up the Dale! 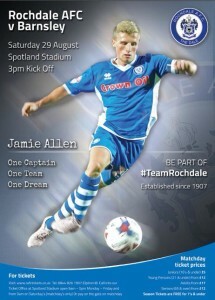 Kicking off at 3 pm on Saturday 29th August Rochdale AFC host Barnsley FC in what should be an excellent match. As Dale’s shirt sponsor for the last two seasons we’ve seen them go from strength to strength and wish them the best of luck this weekend! 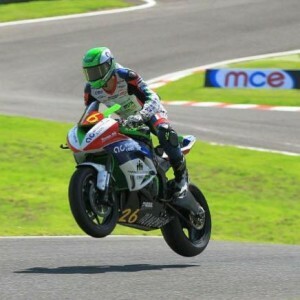 A young, local talent by the name of Sunni Wilson will be racing this weekend at Oulton Park! We wish him all the best in the qualifiers and hope he gets on the grid! He’s been using our oil so fingers crossed for a good ride! You can show some support by getting down to Oulton Park or finding him on Facebook – Sunni Wilson Racing!